Grand Supreme champion in hand of show! Vanoca Park Trooper (Karanga Riverdance X Torlyn Tarian) 1st Welsh B 3 Year Old Gelding and Champion B Gelding ring 1 and 2. 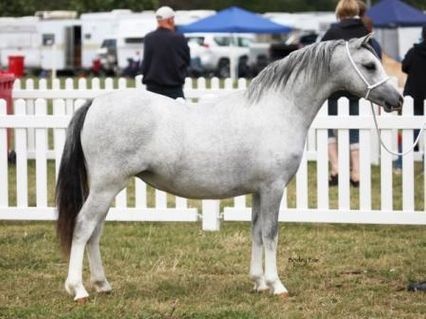 Heniarth Whistle Down the Wind (IMP UK) (Lemonshill Top Note X Eyarth Windflower) 1st 3 Year Old Welsh Pony Colt, Champion Colt, Supreme Welsh Pony Exhibit and Best Welsh In Hand Ring One. 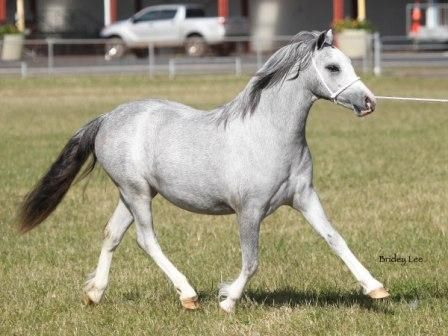 Vanoca Park Snowdrop (Dalgangle Griffin X Nattai Snowgum) 1st Yearling Welsh Mountain Pony Filly, Champion Filly, Supreme Welsh Mountain Pony Exhibit and Best Welsh In Hand Ring Two. Heniarth Whistle Down The Wind. 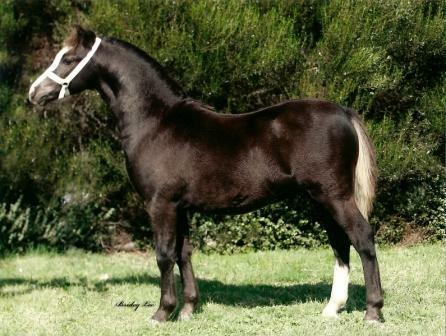 Vanoca Park Picture (Dalgangle Oscar X Nattai Puffin) 2nd Welsh Mountin Pony Broodmare under 8. 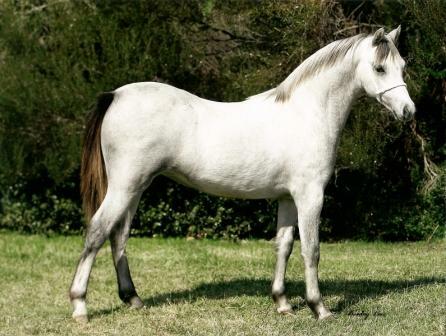 Karanga Ally Cat (Imperial Tennessee X Karanga Carousel) 2nd Welsh Pony Broodmare. 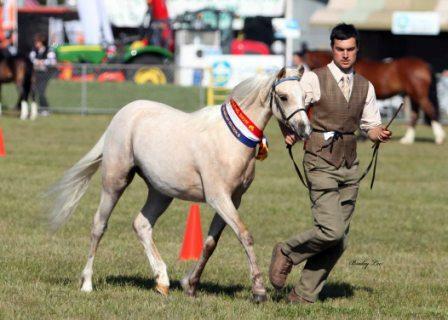 Vanoca Park Trooper (Karanga Riverdance X Torlyn Tarian) 2nd Welsh Pony Gelding 3 year Old and 2nd Welsh B Welsh Hunter. Vanoca Park Picture Book (Nattai Moonraker X Vanoca Park Picture) 1st 3 Year Old Filly Sec A Champion Filly, Champion Sec A and Best Welsh In Hand. To top off a fantastic day Vanoca Park Picture Book was declared the Grand Supreme Champion Lead Exhibit of the Show across all Breads. Well Done Vanoca Park Picture Book. 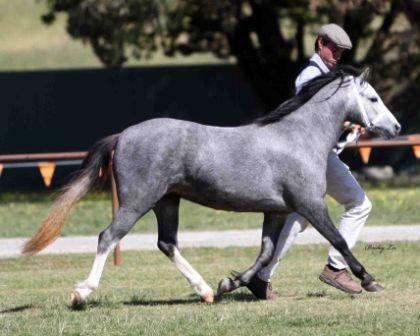 Vanoca Park Picture (Dalgangle Oscar X Nattai Puffin) 1st Sec A Broodmare, Champion A Senior, Supreme Senior Exhibit and Best Welsh in Hand Exhibit of Show! Vanoca Park P??? 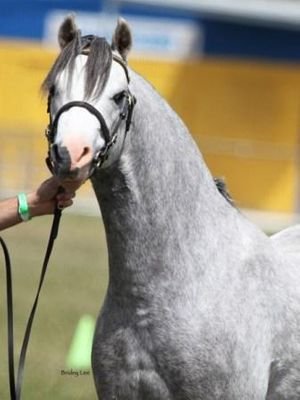 (Dalgangle Griffin X Vanoca Park Picture) 1st Sec A foal and Best Foal of Show! Vanoca Park Picture Book (Nattai Moonraker X Vanoca Park Picture) 1st 3 Year Old Filly Sec A, Champion Filly, Supreme Youngstock Sec A, Supreme Sec A, Best Welsh YS in Hand of Show and Gold Medal WINNER!!! 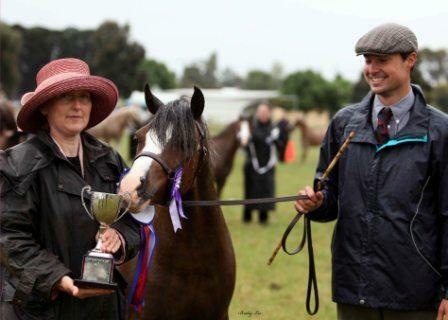 Filly, Best Youngstock Sec A and Best Youndstock of Show. Bamborough Jazzie Belle (Eyarth Tigra (IMP) X Imperial Jazze Bell) 1st Dry Mare Sec B, Champion Mare, Supreme Sec B and Bronze Medal Winner!!! Our 1st show of the season, it was good to be back in the show ring! 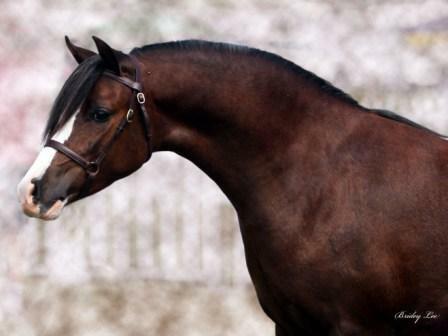 Thank you to all that have made this possible, to the Heniarth stud for breeding him and to IRT for flying him here. Vanoca Park Moonstruck (Llanfairbryn Goldrush x Vanoca Park Lady Moonlight) 1st Welsh Mountain Pony Colt Ring 1 and 2 and Res Champion. 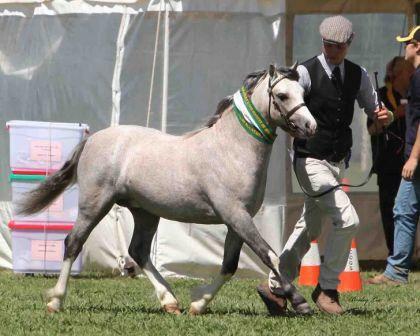 Vanoca Park Illusion (Karanga Riverdance x Tooravale Tanaya) 1st Welsh Pony Colt Ring 1 and 2 and Res Champion. 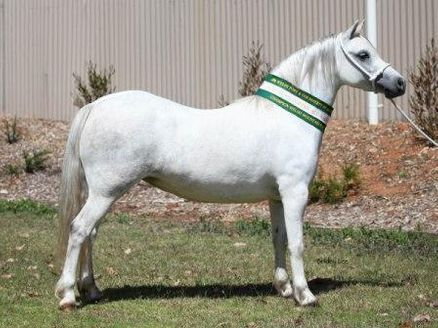 1st Welsh Pony Filly and Champion Welsh Pony Ring 1 and 1st coloured Filly and Champion Coloured Pony Ring 2. 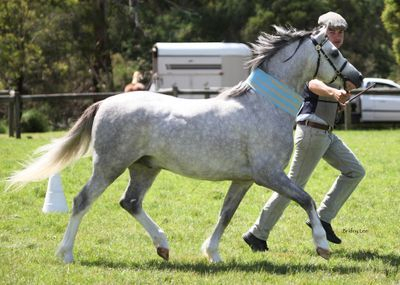 Vanoca Park Larrikin (Llanfairbryn Goldrush x Vanoca Park Lucinda) 1st Welsh Mountian Pony Gelding and Champion Gelding in ring 1 and 2. 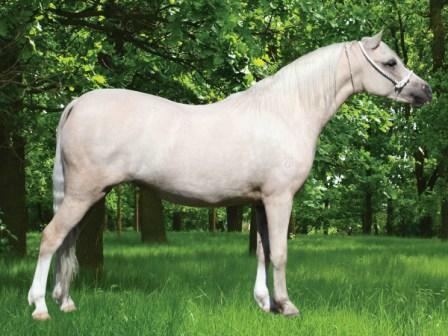 Vanoca Park Snowdrop Pictured above was called forward as the Supreme Champion Welsh Exhibit in ring 1 and the Grand Champion Welsh Foal of Show and Medal Winner! 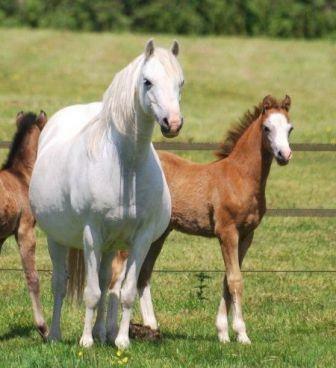 All six of our Welsh Mountian Pony foals shown this season at the foal shows, all were placed 1st at least once in their Sec A classes, we are very proud of our foals for this achievement. 9 1st for 9 classes entred. 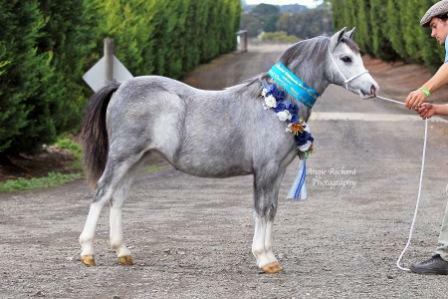 Vanoca Park Lady Devine (Dalgangle Griffin x Nattai Dark Lady) 1st Sec A Filly in both rings. 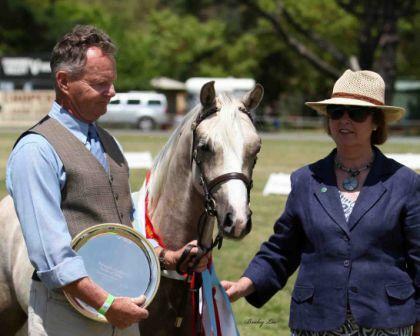 Vanoca Park Tom Cat (Weston Park Montgomery x Karanga Ally Cat) 3rd in Ring 1 and 2nd Ring 3. 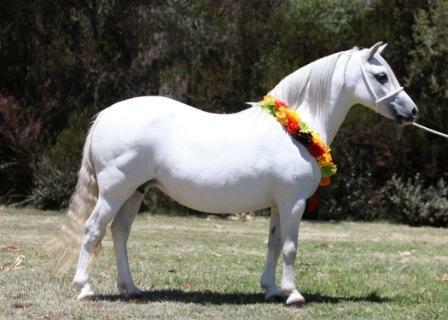 Welsh B Gelding. 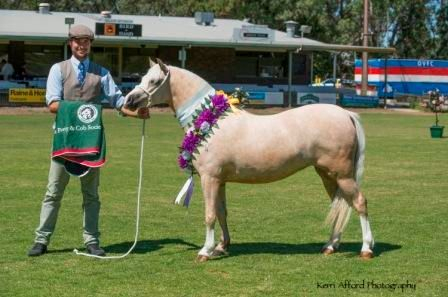 Congratulations to Karanga Cointreau (Nattai Snowbound x Vanoca Park Chardonnay) 2nd Sec A colt and Res Champion A Ring 1 and Champion A Ring 3. 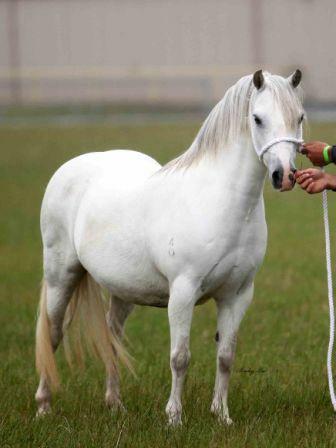 It is nice to see the Vanoca Park Mares breeding on for other breeders. Vanoca Park Moonstruck (Llanfairbryn Goldrush x Vanoca Park Lady Moonlight) 1st Sec A colt and Champion Welsh Mountian Pony. 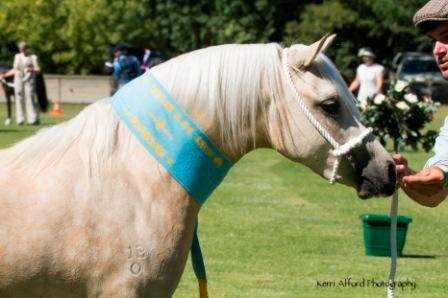 Amaranda Titmouse (Imperial Apollo X Amaranda Tilly Devine) 2nd Sec B Filly and Res Champion Welsh Pony. 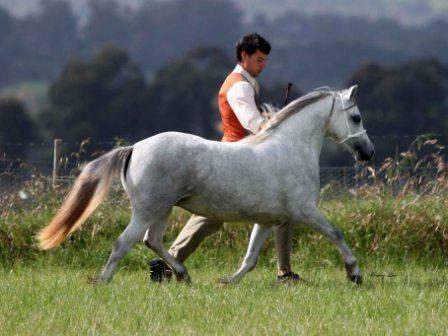 Karanga Louisianna (Imperial Tennessee x Karnaga Penlas) 2nd Sec B Mare. 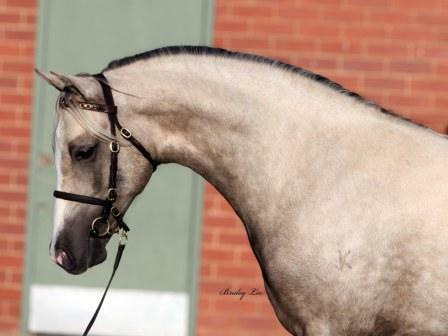 Vanoca Park Lexington (Weston Park Montgomery x Karanga Louisana) 1st Sec B Foal, National Champion Foal. 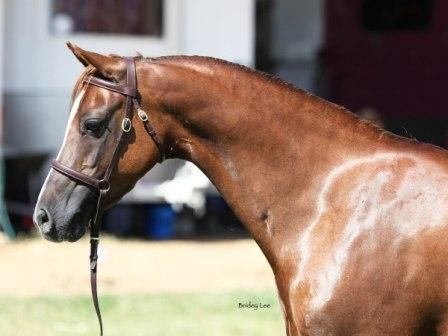 Karanga Louisianna (Imperial Tennessee x Karnaga Penlas) 1st Sec B Broodmare, Champion Mare, Supreme Champion Welsh B and Runner up Supreme of Show. 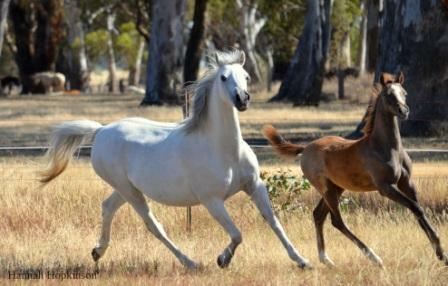 Karanga Louisianna and foal Vanoca Park Lexington by Weston Park Montgomery. 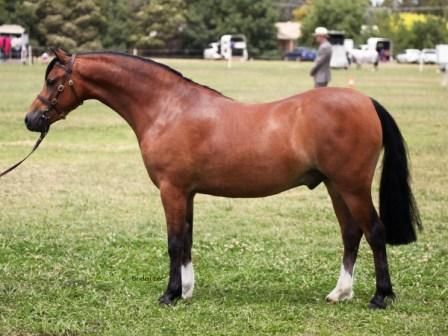 Vanoca Park Trooper (Karanga Riverdance x Torlyn Tarian) 1st 2yo Gelding od Sec B Breeding, Champion Youngstock Gelding and Top 5 in the Youngstock Challenge!!! Vanoca Park Lady Deva (Llanfairbryn Goldrush x Nattai Dark Lady) 1st 2yo Sec A filly and Res Champion Sec A Youngstock Owned and Produced by Michael Pooler. 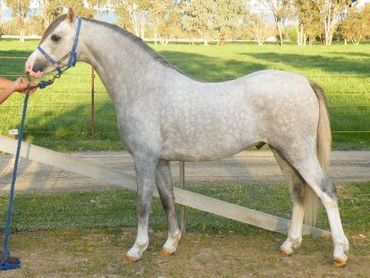 Vanoca Park Promise (Dalgangle Griffin x Nattai Puffin) 1st Lead Rein and Champion Lead Rein/Frist Ridden, Produced by Alex Bethell. 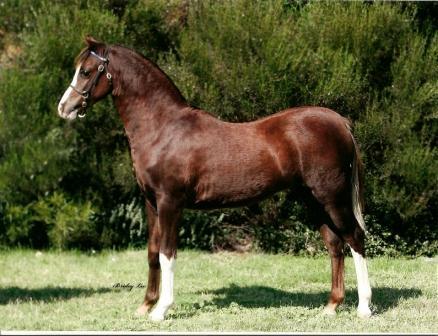 Vanoca Park Picture Me (Dalgangle Limelight x Vanoca Park Picture) 1st Sec A Foal and Supreme Champion Foal of Show!!! 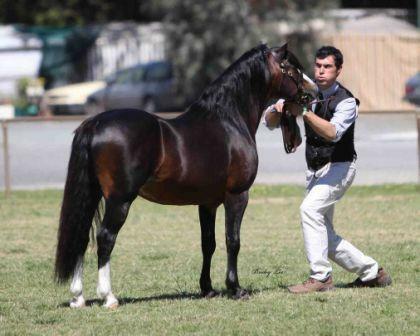 Vanoca Park Picture (Dalgangle Oscar x Nattai Puffin) 1st Sec A Broodmare, Champion Mare, Supreme Sec A and Supreme Champion WELSH IN HAND OF SHOW AND MEDAL WINNER!!!!!!! 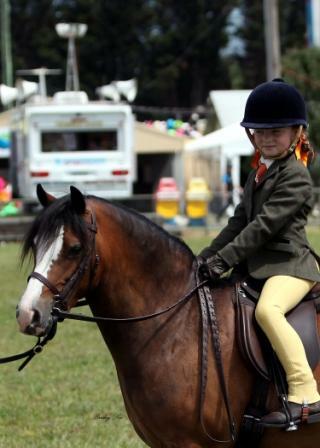 Vanoca Park Promise (Dalgangle Griffin x Nattia Puffin) Ridden by Maddy Bethell and Produced by Alex Bethell. Vanoca Park Picture Book (Nattai Moonraker x Vanoca Park Picture) 2nd 2 year old sec A filly. Vanoca Park Secrets (Bamborough Ambassator x Koonama Spellbound) 3rd 2 year old sec B filly. Thankyou to everyone that has made it possible for me to show William this Summer in the UK!!! I will treasure this opportunity for a lifetime. Special thanks must go to Jill and Lottie from the Flydon Stud, and to Richard and Mei from the Heniarth Stud! Vanoca Park Blue Wren (Dangangle Griffin x Nattai Little Wren 2nd) 2nd 2yo Sec A Filly. Vanoca Park Blue Wren (Dangangle Griffin x Nattai Little Wren 2nd) 1st 2yo Sec A Filly. 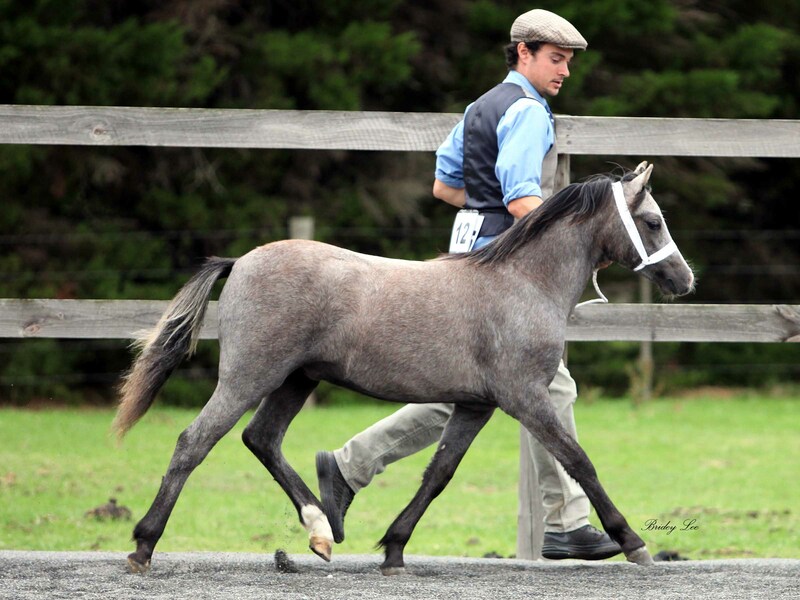 Karanga Mira (Karanga Riverdance x Karanga Minnesota) 1st 3yo Sec B Filly Champion Filly and Supreme Welsh Pony. Vanoca Park Lady-Smith (Llanfairbryn Goldrush X Nattai Dark Lady) 1st Sec A 2yo Colt, and Res Champion Colt. 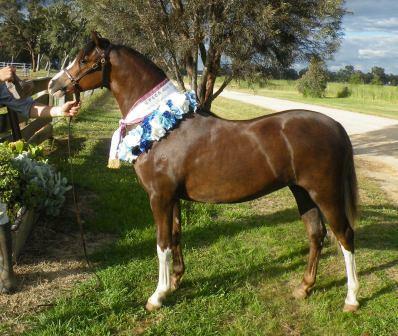 Vanoca Park Picture (Dalgangle Oscar X Nattai Puffin) 3rd Junior Sec A Broodmare. 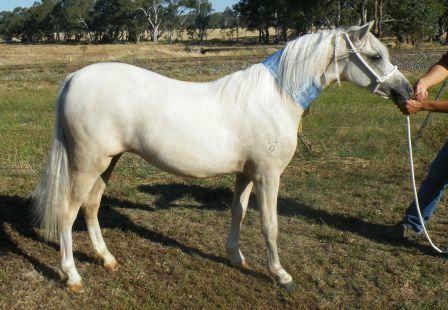 Nattai Snowgum (Nattai Prophet X Nattai Snowball) 1st Sec A Broodmare, Champion Mare, Supreme Welsh Montain Pony, Winner of the Greylight Award. 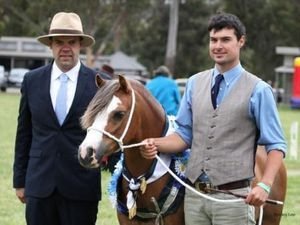 Nattai Snowgum also was pulled forward as the BEST WELSH IN HAND EXHIBIT OF SHOW and winner of the Eilee Bartram Trophy. 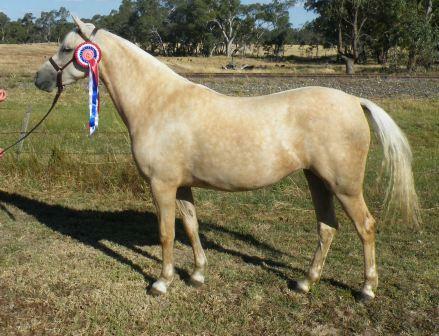 Nattai Snowgum (Nattai Prophet X Nattai Snowball) 2nd Sec A Broodmare, Res Champion Mare . NEB Charity Youngstock Show 2011. Vanoca Park Lady-Smith (Llanfairbryn Goldrush X Nattai Dark Lady) 1st 2yo Sec A Colt and Res Champion Colt. Vanoca Park Lady-Smith (Llanfairbryn Goldrush X Nattai Dark Lady) 1st 2yo Sec A Colt and Champion Colt. Vanoca Park Summer Storm (Dalgangle Griffin X Nattai Summersong) 1st 2yo Sec A Colt, Champion Colt and Res Champion Sec A Youngstock. 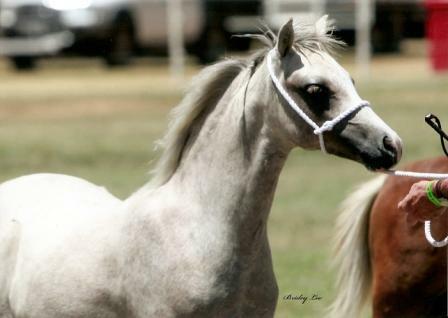 Nattai Dark Lady (Nattai Gwydion X Nattai Lady Moonsprite) 1st Sec A Broodmare, Champion Mare, Supreme Welsh Montain Pony, Winner of the Greylight Award. Nattai Dark Lady also was pulled forward as the BEST WELSH IN HAND EXHIBIT OF SHOW and winner of the Eilee Bartram Trophy. Vanoca Park Lady-Smith (Llanfairbryn Goldrush X Nattai Dark Lady) 1st Sec A 2yo Colt, and Champion Colt. 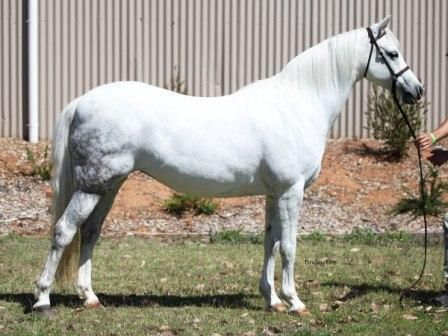 Nattai Snowgum (Nattai Prophet X Nattai Snowball) 1st Sec A Broodmare, Champion Mare and Res Champion Sec A.
Vanoca Park Ghostgum (Nattai Moonraker X Nattai Snowball) 1st Sec A Foal and BEST FOAL OF SHOW. 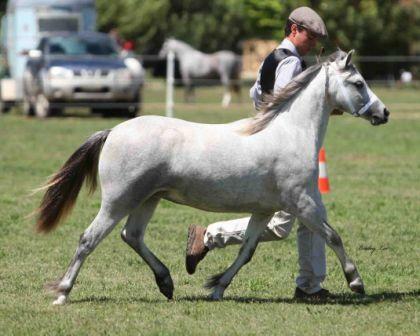 Vanoca Park Teifi (Karanga Riverdance X Torlyn Tarian) 1st Sec B 2yo Filly, Champion Filly Best Welsh Pony Youngstock. Vanoca Park Teifi also was the winner of the Kirreway Overture Challenge. 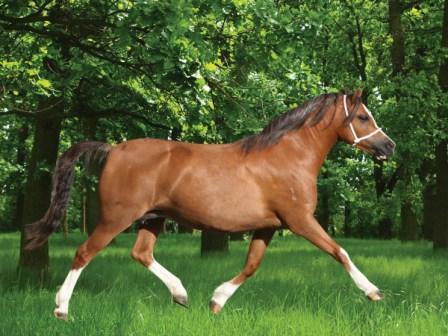 Top Note was the Royal Welsh Male Champion 2003, and Windflower is a 6 x Royal Welsh Winner, 3 x Royal Welsh Female Champion 2002, 2003 and 2006. Thankyou Richard and Mei for allowing us to purchase such a stunning colt!!! Vanoca Park Teifi (Karanga Riverdance + Torlyn Tarian). 1st Section B Filly yearling. Victorian All Welsh Show Dec 2010. 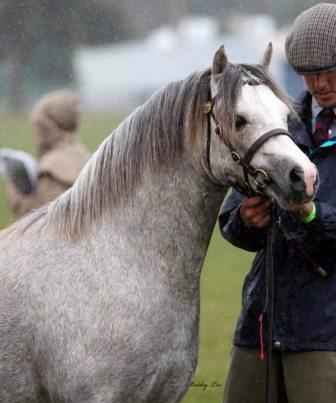 On the 2nd Dec we headed of to a very wet Victoria all Welsh Show, we had a great and enjoyable show, results are as follows. Vanoca Park Llyswen (Llanfairbryn Goldrush + Nattai Lucina) 2nd Yearling Filly. Vanoca Park Teifi (Karanga Riverdance + Torlyn Tarian). 5th Section B Filly yearling. Llanfairbryn Goldrush Progeny Group, VP Lady-Smith, VP Llyswen and Barakee Tulle 1st Welsh A Progeny Group. and then on to win the Eilee Bartram Trophy for Best Welsh in Hand Exhibit of Show. Well done Harry. South Australian All Welsh Show 2010. 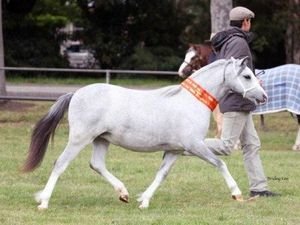 Karanga Money Maker (Karanga Riverdance + Karanga Minnesota) 1st Section B Colt, Champion Welsh B Colt, Champion Welsh B Youngstock and Supreme Welsh B. Owned in partnership with Kristin Castens, We both would would like to thank Gary Le Brocq for showing him so well for us. 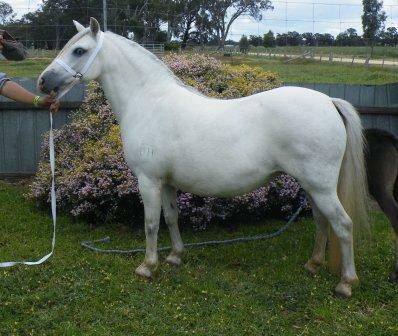 Nattai Snowgum (Nattai Prophet + Nattai Snowball) 2nd Welsh a Mare and Res Champion Sec A Senior. 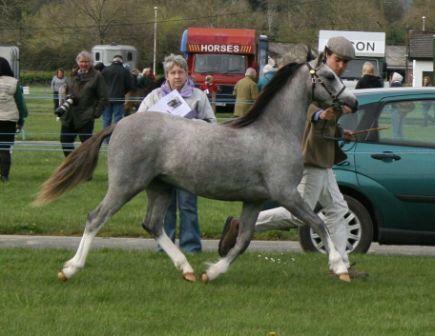 BACH RPG FOAL SHOW 2010. 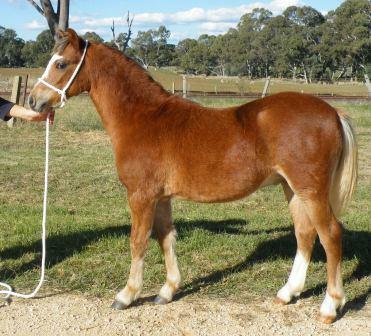 Vanoca Park Blue Wren (Dalgangle Griffin + Nattai Little Wren 2nd) 3rd Section A Filly. 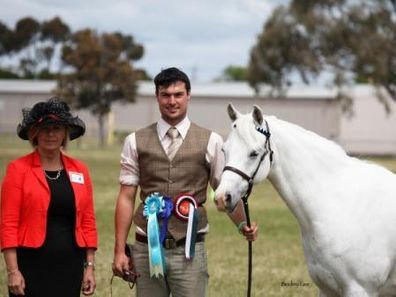 Vanoca Park Blue Wren (Dalgangle Griffin + Nattai Little Wren 2nd) 2nd Section A Filly and Res Champion Welsh A. Then to top off a fantastic day Money Maker was awarded Supreme Welsh Exhibit of Show and Won the WPCS Medal. 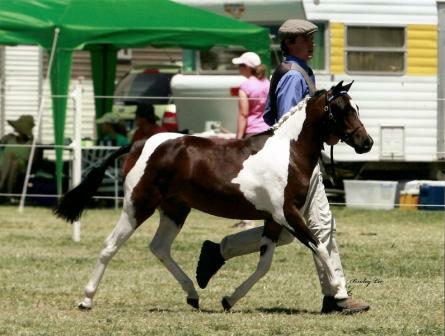 GIPPSLAND RPG FOAL SHOW 2010. 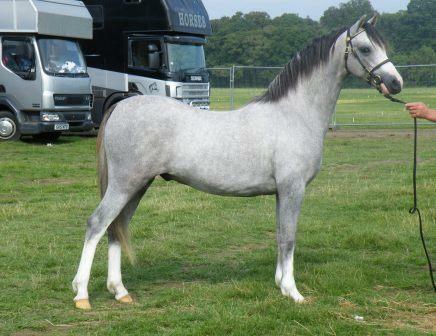 Vanoca Park Llyswen (Llanfairbryn Goldrush + Nattai Lucina) 4th Section A Filly. Karanga Riverdance Progeny Group, VP Teifi and Karanga Money Maker, 1st Welsh B Group. 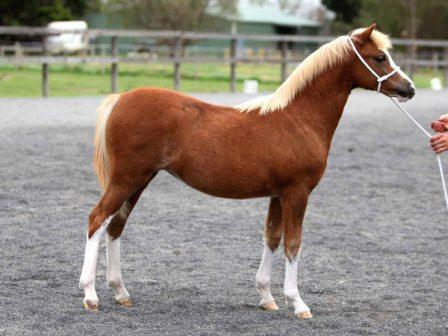 Vanoca Park Llyswen (Llanfairbryn Goldrush + Nattai Lucina) 1st Section A Filly. 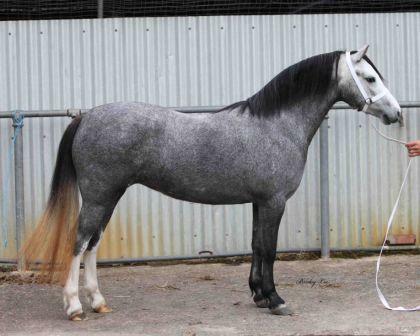 Karanga Money Maker (Karanga Riverdance + Karanga Minnesota) 1st Section B Colt and Champion Welsh B and Supreme Welsh Exhibit. 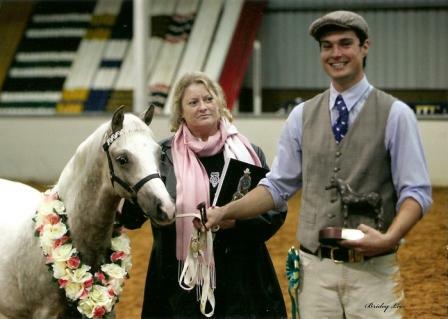 NEB RPG FOAL SHOW 2010. 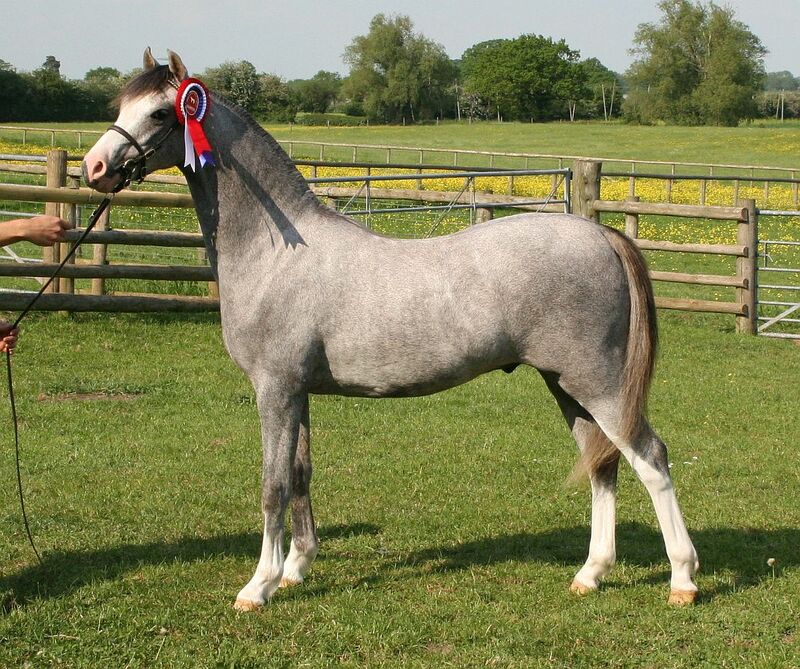 Vanoca Park Llyswen (Llanfairbryn Goldrush + Nattai Lucina) 3rd Section A Filly. 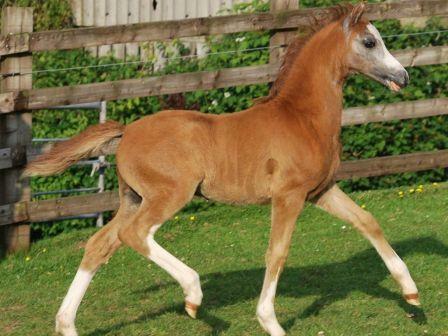 Vanoca Park Llyswen (Llanfairbryn Goldrush + Nattai Lucina) 2nd Section A Filly. 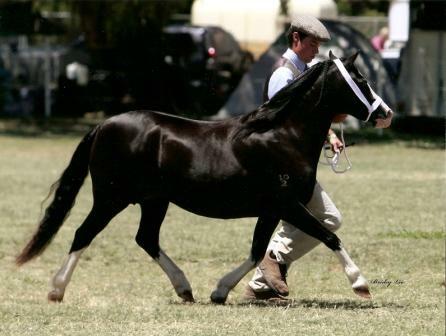 Karanga Money Maker (Karanga Riverdance + Karanga Minnesota) 1st Section B Colt and Res Champion Welsh B. Photos By Bridey Lee. Foals from left to right, Vanoca Park Summer Storm, Vanoca Park Llyswen and Vanoca Park Teifi. Vic All Welsh Show 2010. Once again another very enjoyable all welsh show, after taking a large team last year we decided to only take 3 ponies + a foal this year, and thank goodness we only had a small team with the heat this year. 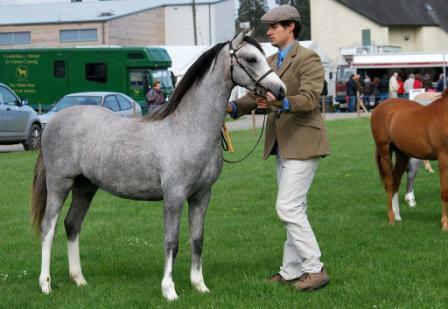 Vanoca Park Picture was shown to success in the 3 year old Welsh Mountain Filly Class, and the was awarded Res Champion Filly to the eventual Best Youngstock of Show. Vanoca Park All That Jazz our Part Welsh Pinto Yearling Filly, placed 4th in a very strong and large yearling filly class. Nattai Dark Lady placed 3rd in the Open Welsh Mountain Broodmare Class. 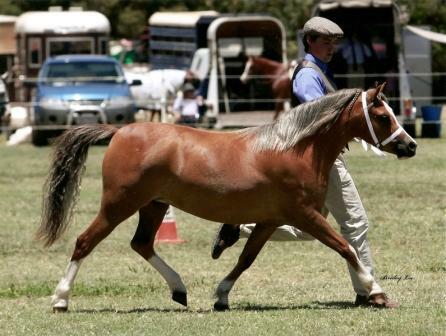 Vanoca Park Ladysmith won in Welsh Mountain Foal Class. 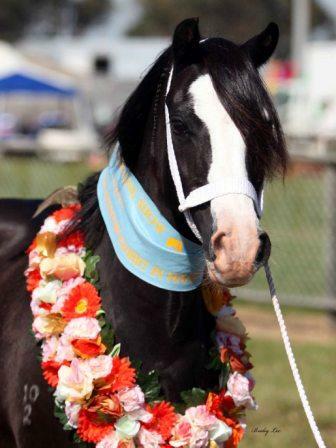 We would also like to congratulate Sharon Edwards on her success with Vanoca Park Gucci Placing 2nd in his 2 Year Old Welsh Pony Colt Class and Kristin Casten with Vanoca Park Promise Placing 5th in a very large and strong Welsh Mountain Yearling Filly Class. 2009 the year that was. National Show and Autumn Show. Ashley Porter Won the National Junior Judging Final. 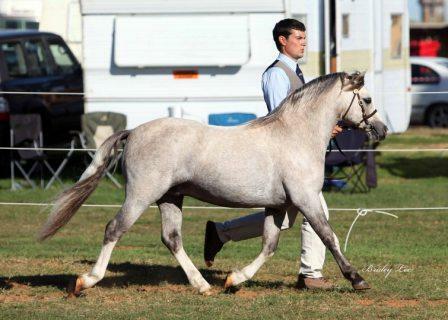 Ashley also showed Amarah Parc Velisa to be Supreme National Welsh in Hand. Karanga Louisanna. Res Champion Section B Mare. Ashley also Showed Cataraqui Hasufel to be Res Supreme of Show. Vanoca Park Lady Smith. 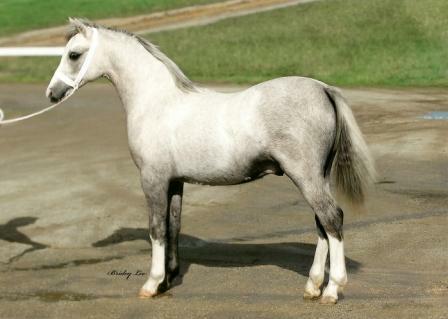 Best Foal of Show. Vanoca Park Picture. Best Welsh in Hand. Medal Winner.